This toasted paneer sandwich is so easy to make that anyone can make it. It’s delicious and ready to eat in few minutes. Paneer sandwich makes for a quick breakfast and anytime snack. It contains both proteins and carbohydrates. 1. Mix paneer, salt, onion and black pepper powder. 2. Take a slice of bread and place the paneer mixture on it. Cover it with another lightly buttered slice. 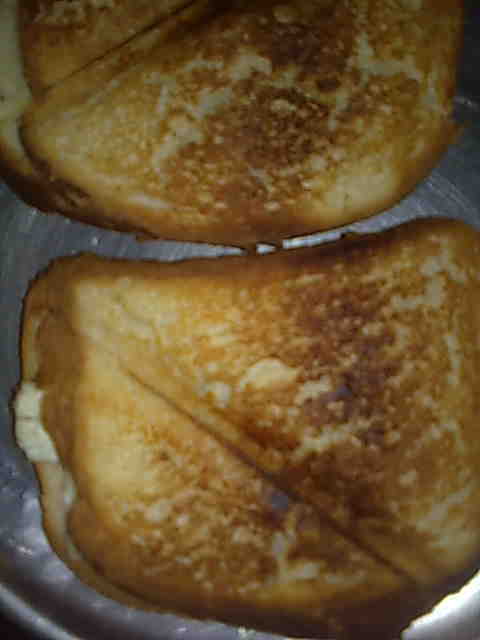 You can make this sandwich either in an electrical sandwich toaster or gas top sandwich maker. Similarly make other sandwiches. 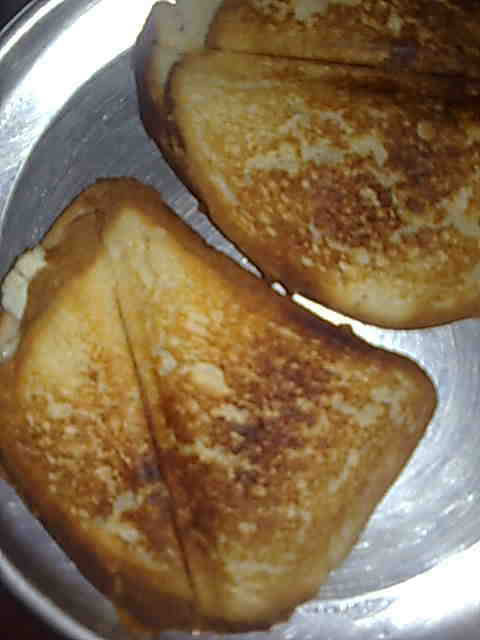 Enjoy paneer sandwich hot with tomato sauce.